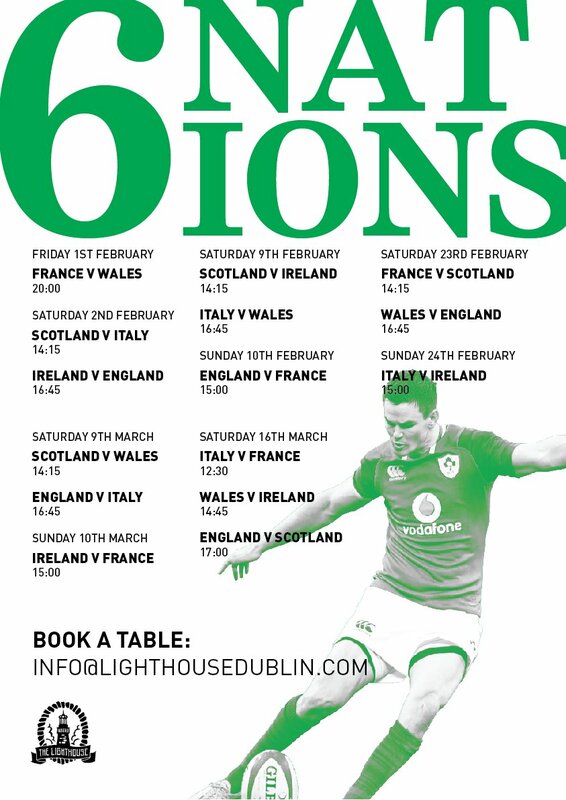 The Six Nations kicks off Friday 1st February and we’ll be showing every game live on our screens, with either brunch or our full menu being served.We are going to have the Ireland games on our big projector screen & big sound system upstairs. Huge year for it with the Rugby World Cup being on later in the year. Come on Ireland!